Provalido is the provider of a SaaS solution that helps organisations plan, manage and report their cost reduction activity from idea through to implementation. Our Savings Tracker is easy to use yet flexible enough to fit your specific procurement processes and savings reporting requirements. It is derived from decades of procurement experience. We have over 4,000 users of our Tracker across more than 50 customers around the world. Our customers range from Fortune 500 / FTSE 100 corporations to small domestic organisations and encompass a wide range of sectors. 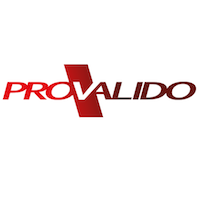 The Provalido Savings Tracker enables you to gain control of your savings pipeline and increase the efficiency, transparency and credibility of the benefits brought by procurement. Down the Procurement Pub with Munir Podumljak, Odesma, Sir Bernard, the Front Covers, Bravo Connect and Wolf Alice (phew)!